University parking problems could eventually be just a memory due to a car sharing system that is being implemented at some colleges and cities. With just a “flexcard,” students, faculty and even neighborhood residents at Johns Hopkins University, the latest to sign up with Flexcar, have access to one of four shared vehicles parked around campus. BALTIMORE, MD–Flexcar (www.flexcar.com) announced it has expanded to the city of Baltimore through a partnership with The Johns Hopkins University, the leading research university in the United States. The initial group of four hybrid vehicles will be parked across campus and available to students, faculty, staff and neighborhood residents for use by the hour. Additional vehicles will be added on campus and in the city throughout the year. Baltimore becomes Flexcar’s 10th US city and the first of multiple new markets the company plans to launch in 2007. Members reserve a Flexcar vehicle online or via touchtone phone, use their Flexcard to open the doors, take their trip, then return the car to its reserved parking spot at the end of the reservation. A simple introductory fee of $6.00 per hour or $60.00 per day includes gas, insurance, 150 free miles, maintenance, a reserved parking spot and 24-7 emergency service. Flexcars will initially be available in four locations on campus, including Wyman Park Drive Reserved Lot, Mattin Center/Power Plant, Tennis Courts Lot and Homewood Field Lot. Although the vehicles are parked on campus, they will be available to the approximately 70,000 residents in the area served by the Greater Homewood Community Council, whose boundaries are from North Avenue to the south, I-83 to the west, Greenmount Avenue/York Road to the east and the city line to the north. Johns Hopkins has arranged for members in that community to receive the same introductory promotion and discounted rate as students and faculty. Flexcar gives its members the freedom of owning a car without the cost and hassles. Flexcar’s “point-click-drive” system lets members have a car just when they need it, paying for it just when they use it. The convenience and cost-savings are compelling enough that many members sell an existing car or avoid buying a new car. Studies also show that members drive about 40 percent fewer miles and increase their use of public transit. The cumulative impact of this behavior shift is fewer cars on the road and dramatically reduced emissions. Car-sharing is becoming a growing trend among large colleges and universities – which are being driven by the need to reduce vehicles on and near campus. The company, which has provided car-sharing programs on college campuses since 2001, launched its groundbreaking “Flexcar for Undergrads” program last fall with several universities across the country, significantly expanding the availability of the service. 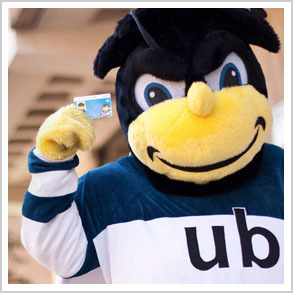 In addition to Johns Hopkins, Flexcar University Partners include the University of Maryland, University of Florida, University of Washington, UCLA, Georgia Tech, University of California – Berkeley, Portland State University, University of California – San Diego, and Emory University, among others. Flexcar founded the US car-sharing industry and now operates car-sharing programs for tens of thousands of members in 10 metropolitan areas, covering 40 cities in eight states and the District of Columbia. By the hour or by the day, members can reserve and drive any of these cars whenever and wherever they need to, without filling out complicated paperwork or paying for insurance, gas or repairs. Flexcar Business Memberships enable companies to augment or replace their fleet with Flexcar vehicles. Flexcar’s University programs enable campuses to address parking and mobility issues for faculty, staff and students. Flexcar’s fleet includes environmentally-friendly hybrid sedans, utility vehicles (including pickups, minivans, AWDs) and sporty cars (including Mini Coopers, Miatas and Scion tCs). Flexcar is a portfolio company of Revolution Living, an operating unit of Steve Case’s investment firm Revolution, LLC. More information on the company is available online at www.flexcar.com.